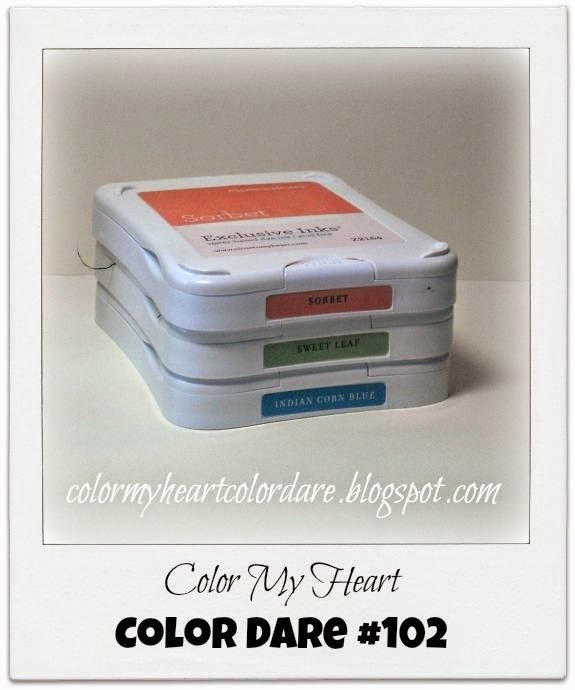 It's time for the Color Dare #102 to be announced. First, thank you to all who entered the Color Dare. We really appreciate you and your talents! The Diamond winner is Peachy and her beautiful flower card. 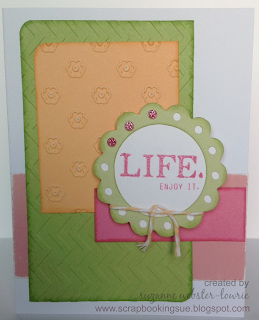 Our Emerald winner is Donna with her Life is Good card. The Ruby winner this week is Suzanne and her Believe card. Congratulations to this week's winners! Don't forget to grab your badge from the tab at the top. Thank you so much for sharing your talents! We hope to see more of your artwork very soon! 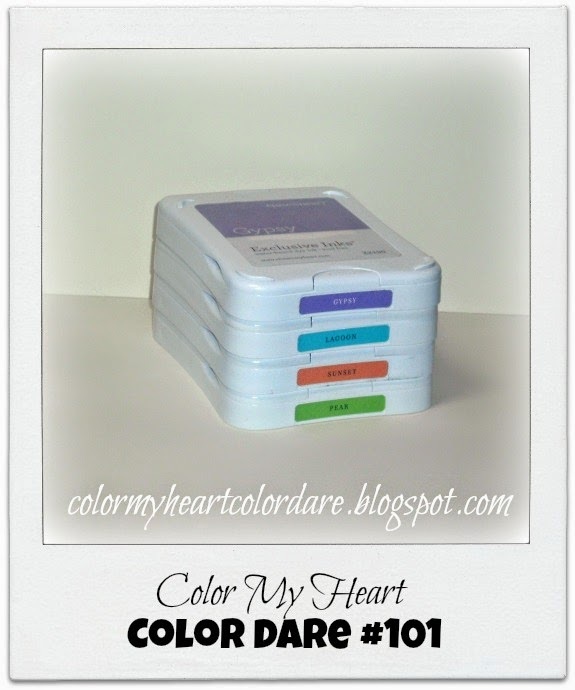 There is still time to join us in Color Dare #103. The colors are Honey, Indian Corn Blue, Topiary and Cranberry. If you don't have those exact colors use something close. Neutral colors are ok to add in. You have until Thursday at 9:00pm CDT to enter. See the sidebar for complete details. 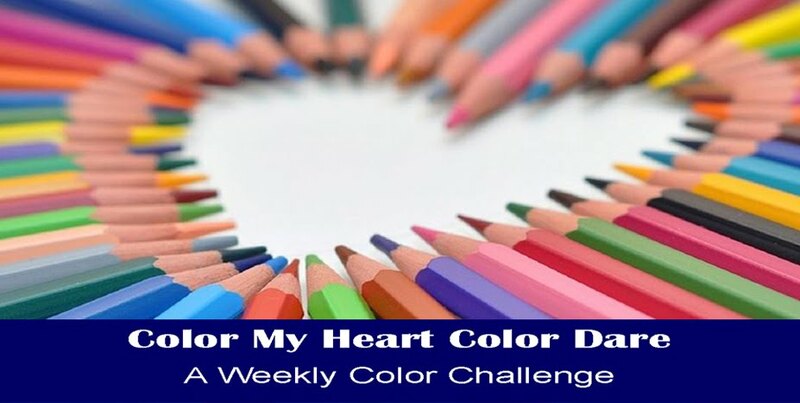 Welcome to Color My Heart! 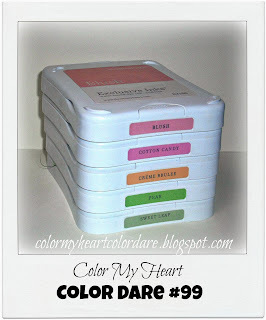 This week we are taking our colors from the Close to My Heart Jubilee paper pack. These are very pretty primary colors - nice and bright! I made a layout using Jubilee's Level 2 complements. The layout is called Juggling Act from Magic. You can read more about it on my blog. Color Dare #101 had the bright, summery colors: Gypsy, Pear, Lagoon and Sunset. There were so many lovely entries is wasn't easy to chose the winners. Thank you to all who participated and shared your artwork. We truly appreciate you all! 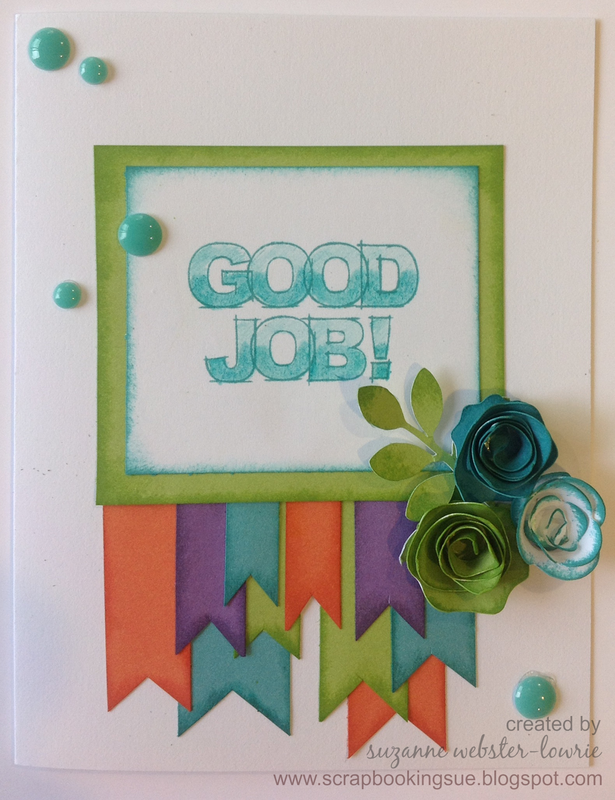 Our Diamond Winner is Suzanne with her Good Job card. Good Job Suzanne! 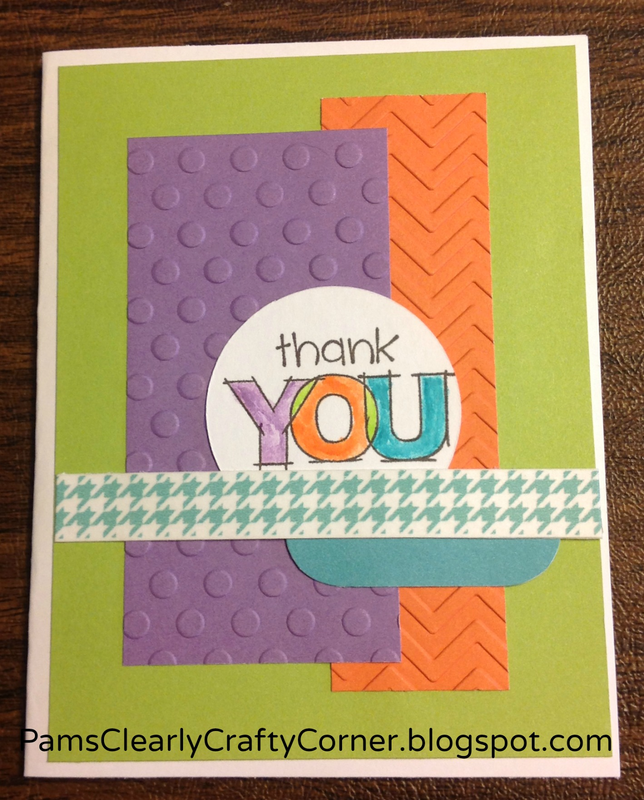 Our Emerald winner is Pam and her cute Thank You card. 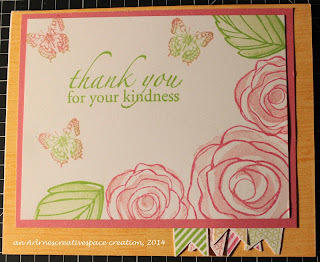 The Ruby Winner is Donna with her cheery Live in the Moment card. 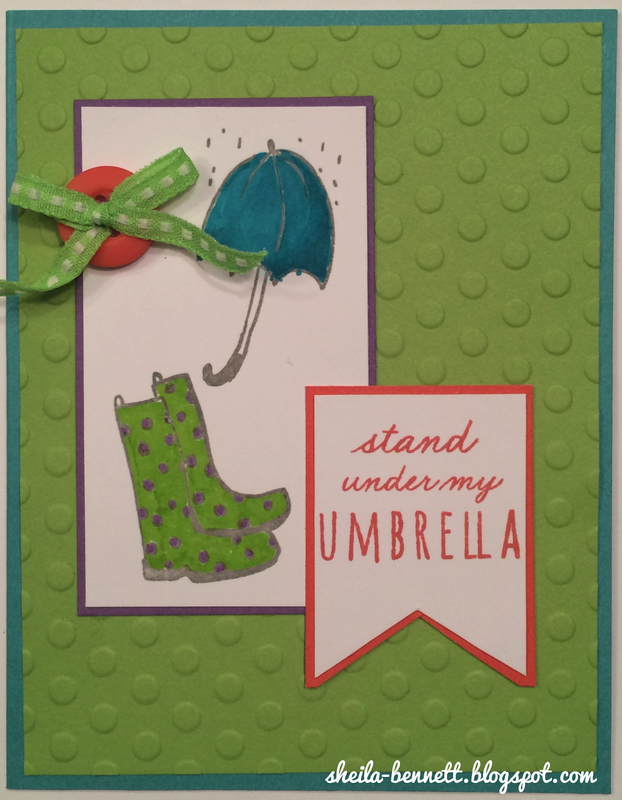 Our Sapphire winner is Sheila and her cute umbrella card. Fantastic cards, Ladies! Grab your badge from the tab at the top of our page! Please give them some love by visiting their blogs and leaving a comment. 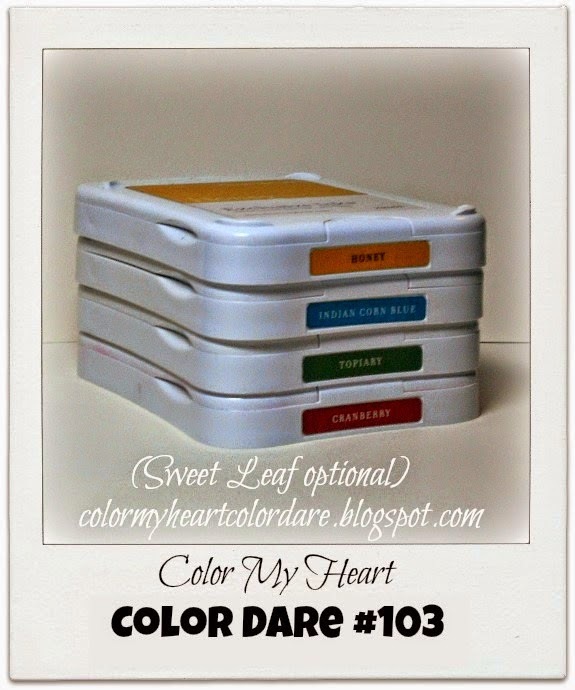 Next up is Color Dare #102: Indian Corn Blue, Sweet Leaf and Sorbet. Join us for a fun challenge! Now it's your turn! Make a project using the featured colors. If you don't have the exact colors, just use the closest you have. Take a picture of your project and upload it to your blog. Make sure you link to us in your post. Next, link your post up here. The linky will close at 9PM CDT time Thursday, July 24th.See our sidebar for complete rules. Don't forget to have fun! Hope to see you in our gallery! I used my Twitterpated scraps and leftover Stickease to make this level 2 layout. It's going to be great for some cute outdoor pics of my kids! You can read more about it on my blog. 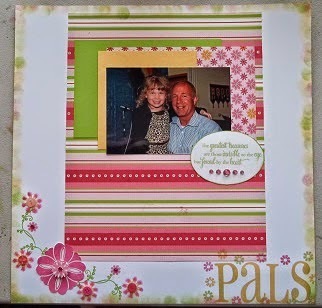 Our Diamond Award Winner (and winner of the 100th challenge prize) is Katrina with her wonderful scrapbooking layout. 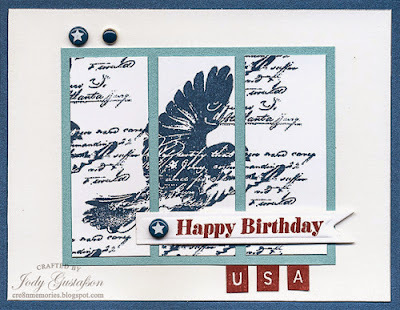 Our Emerald Award Winner is Jody Gustafson with her beautiful patriotic card. 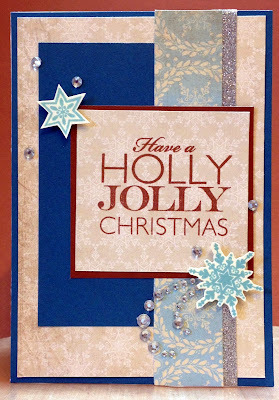 Our Ruby Award Winner is Jacquelin G. with her cheery Christmas card. 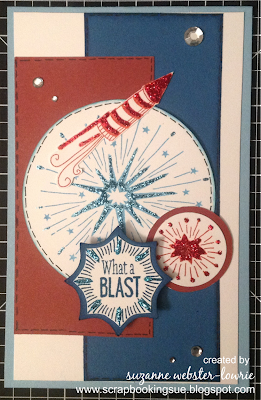 Our Sapphire Award Winner is Scrapbooking Sue with her fantastic Independence Day card. Weren't these all just GORGEOUS? 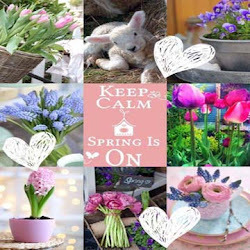 Please visit the winners' blogs and congratulate them! Color Dare #101 is to combine Gypsy, Lagoon, Sunset and Pear. (colors from CTMH retired Hooligans paper). Now it's your turn! Make a project using the featured colors. If you don't have the exact colors, just use the closest you have. Take a picture of your project and upload it to your blog. Make sure you link to us in your post. Next, link your post up here. The linky will close at 9PM CDT time Thursday, July 17.See our sidebar for complete rules. Don't forget to have fun! Hope to see you in our gallery! Wow, you guys! I am blown away by how many entries we had into our 100th challenge! I will have fun looking through those this afternoon. Stay tuned this week to find out who our Grand Prize winner is. Also stay tuned, because we will be having a Design Team call soon. 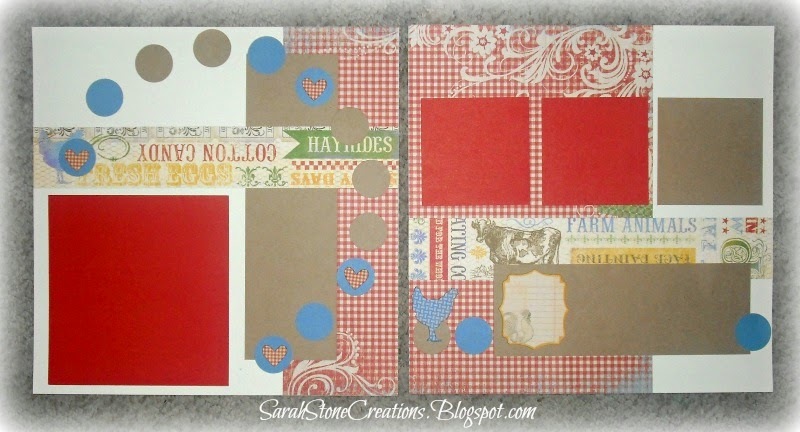 You may recognize this combo from a paper pack we had a while back called Hooligans. This was meant to be a Halloween pack, but I want to see if you can make it look summery. Or you can get a head start on Halloween projects. However you want to do it, just have fun! Time to catch up with the Monthly Prize Winner announcement! Congratulations on being our monthly winner! Please email me with your mailing address so we can get your prize on it's way to you. Thanks for joining us at Color My Heart. We hope you join in the fun again! Happy American Independence Day! 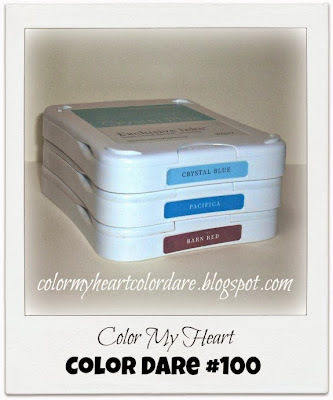 Since we are extending Color Dare #100 until next week because we are giving away an awesome prize and want to give you all a chance to participate this post is later than usual. Our participants did a great job this week and it was really tough to choose winners! 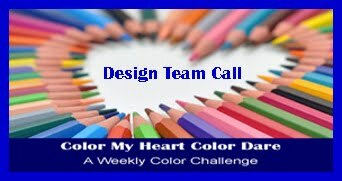 Thanks to all that joined this 5 color challenge! Our Ruby Award winner is Suzanne Webster-Lowrie with her delightful "Life" card. 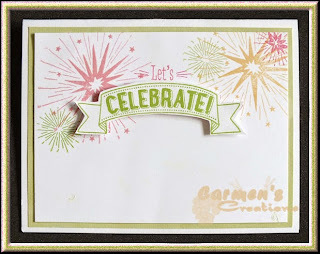 Our Emerald Award winner is Carmen with her awesome "Celebration: card. Our Sapphire Award winner is Arlene with her fabulous floral thank you card. Please visit their blogs and congratulate them! 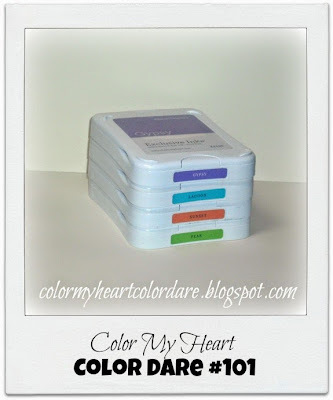 We are offering a fabulous prize for one lucky winner of Color Dare 100. The brand new Close To My Heart Annual Inspirations catalog will debut in about a month, and we are offering a paper pack and the coordinating complements from the new book, winner's choice! You have until Thursday evening, July 10 at 9pm CDT to link up.